Holly Henry, the 20-year-old musician based in Minneapolis experienced the turning point of her musical career when she performed Coldplay’s “The Scientist” on season 5 of “The Voice.” Getting all four judges to turn their chairs after her beautiful performance marked the first moment she introduced herself to the public as a major talent. 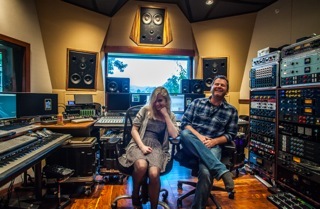 When time came for her to choose an artist to work with, she picked country musician and producer, Blake Shelton. “I said to myself, ‘I will choose who turns first,’ and Blake turned within two seconds. He was ready to work with me,” recalls Holly. While the young singer-songwriter and multi-instrumentalist chose to work with a country music producer, Holly does not define herself as a country musician. After finishing her time with the reality television show, Holly met with producer and founder of the Grow Music Project, Chris Tyng to record and produce her latest single “Hide and Seek.” While Holly exhibits the same voice from season 5 of “The Voice” within this new single; the lyrical content within “Hide and Seek” resembles something different from the pop songs she performed on the reality show. In the chorus of “Hide and Seek,” Holly sings I’m stuck in the corner/ I swear I adore you. I asked her about the inspiration behind these lyrics. “I do have anxiety, and I wrote the song “Hide and Seek” about that, and how it affects my life and relationships with the people I love,” she says. I investigated her repertoire of original music further by listening to her 2013 acoustic EP, The Immigrant. The lyrics in the chorus for the song “Paper Clips,” she sings Life has just tripped you up by your laces. Then, there is the title track in which she sings Be still your love, your broken heart/ ‘cause I will kill it. According to her latest interview in a documentary of her experience with the Grow Music Project, Holly is most inspired by artists like Bon Iver and Lana Del Ray. The most intriguing quality about this developing artist is that while she returns with a voice we are all familiar with, we now have the opportunity to enjoy something more refreshing – beautiful and youthful voice that expresses an old soul. 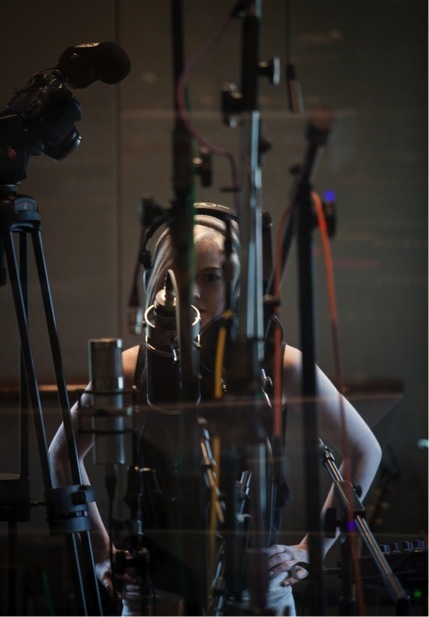 At the moment, Holly is searching for a producer who will help her create her first full-length record, one that will showcase the voice she looks to present to the world. It is my pleasure to welcome this young artist to a full-length feature article for the month of June to Music Historian’s Hear, Let’s Listen. Holly claims when she tried out for season 5 of “The Voice” in early 2013, she did so on a whim. “At the time, I was also in my gap year, I had just finished high school and I took a year off to pursue music. Not purposely the voice in the beginning. “I went to their auditions in Chicago and went through three or four auditioning processes before reaching the final blind audition. I was not expecting to get called back at all, I didn’t think I’d get past the open call. I hadn’t planned for it, it all just happened,” explains Holly. During this time, Holly had already published videos of herself performing her own songs on YouTube. These videos grabbed Chris Tyng’s attention. “He actually listened to my YouTube videos way before I went on “The Voice.” He planned on contacting me but when he learned I was going on the show he thought “she’s probably not interested.” When he found out I got off the show, then he contacted me. So far, Chris has worked with Holly specifically on “Hide and Seek.” Holly claims she would love to work with him again. However, she is also open to working with other producers. I was curious as to what criteria an artist like Holly uses when hunting for a producer. While Holly looks to continue her acoustic styling, as she presents in “Hide and Seek” and her first EP, she is also open to adding new elements to her compositions. Holly claims acoustic is also perfect for her because some of her songs which include topics about anxieties, reflections and love would clash with a very upbeat melody. While some producers might worry that her songs steer towards the mellower and possibly melancholy, Holly never received a negative message about her songs. As a matter of fact, she received plenty of encouragement from her fans. “When “The Voice” happened, the whole experience kick-started a fan base and this whole new way of life for me. They say very encouraging things, and I am very lucky to have people follow me. I receive messages all the time, both about my music and my struggles. People who struggle with anxiety and depression tell me “your music encouraged me to keep going and trying.” Honestly, that’s all I want to [hear and] do. I just want to help people out. The next steps Holly looks forward to most within her music career is releasing another album. As she continues to address internal struggles within her songs, whether experienced by her or someone else, Holly describes songwriting as a therapeutic endeavor. Performing, however, does come with the territory, one she treads gracefully and with poise. One can see this in her performances both on “The Voice” and in a recent show at Lincoln Hall in Chicago. “If I am feeling anxious, I can write a song and get my feelings out. Although performing music is quite frightening for me. Performing does come with the territory,” explains Holly. “I was less nervous during the first time I sang on “The Voice” for the blind audition because I had been practicing that audition song “The Scientist” for two or three months. I had plenty of time to build up confidence for that moment. Plus, I didn’t know what to expect when I first went out. I then ask myself, if this artist’s anxieties do not show anywhere in her performances – perhaps as a result of her perfect practice and discipline – then why does she choose to talk about it in her music? “I’ve chosen to be public about it [the anxieties] not because I want pity or attention. I do it to let people know ‘It’s all right.’ I know so many people who have social anxiety, which can be quite crippling. I don’t have social anxiety, but it’s very common amongst others. It’s also nice to talk about it because you feel you’re not alone in your problems. I just hope I make people feel better about themselves,” she expresses. Most importantly, the best producer, whether it be Chris or someone else, should realize that in order for Holly to present the world a new voice, she must continue to deliver the same type of authenticity she exhibited in “Hide and Seek.” Recalling my previous interview with music producer Roger Greenawalt, the one thing a producer might ask in return from Holly is that she is ready to push herself and handle challenges, which might include performing more or welcoming more instrumentation. By having these needs from both the artist’s and the producer’s side, Holly Henry is ready to start the process of putting her new songs on a full-length album.